The calendar giveaway details are at the bottom of this post. But first: behavior tips from the experts behind some of the best Brookes books. Hope you’ll find some good ones on this list to add to your toolbox of strategies in 2017. One of the best ways to defuse challenging behavior is making it easy for children to predict what comes next in their schedule. To help with this, create and prominently display a simple, easy-to-read daily schedule at children’s eye level, using words and pictures to represent events and activities. 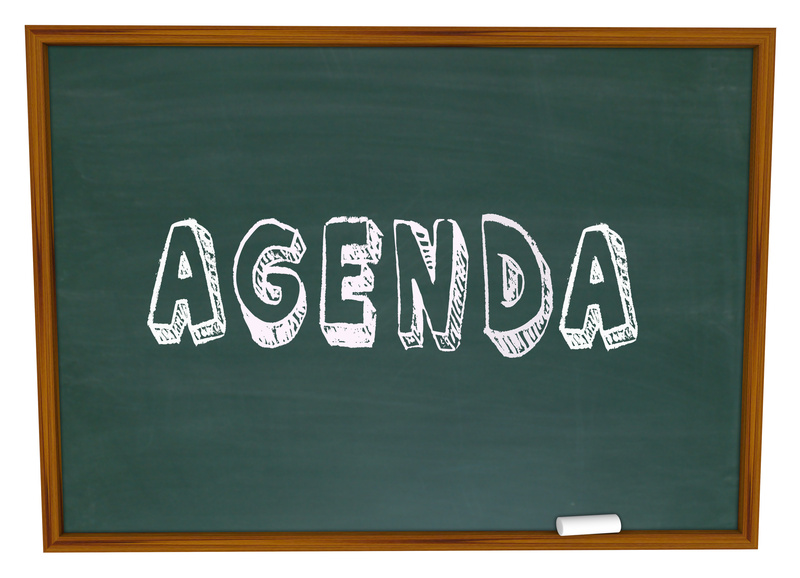 Review the schedule every day with the whole class and with individual children who may need additional help with transitions. Be sure to design your schedule so you can remove or cover up items as you complete them. For some children, simple visual schedules don’t provide enough structure and predictability–so you might consider establishing more detailed routines within the steps of your daily schedule to minimize behavior challenges. 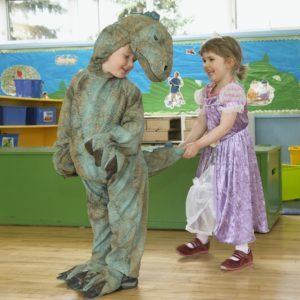 For example, if one of your steps is “sign in with a friend at the beginning of the school day,” you can teach children to approach the friend of their choice, tap him or her on the shoulder, look at him or her, say the child’s name, and ask the friend to “come sign in.” You can use a picture sequence to teach this multistep process and go over it with your students during circle time for the first few weeks of school, until they’re comfortable performing the sequence independently. Use the five-to-one ratio of positive attention. Spend the majority of your time pointing out positive behavior and not challenging behavior. 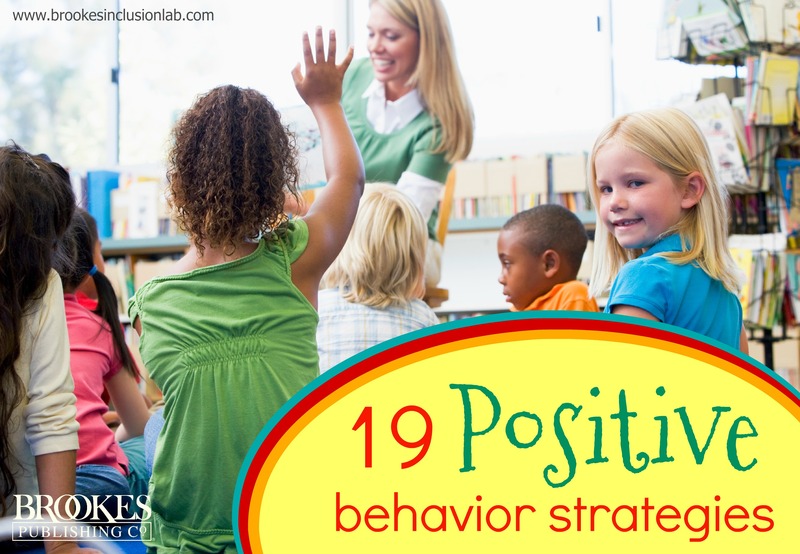 Not only will this reinforce and promote the child’s good behavior, it may also result in the rest of your class picking up on your cues and using more positive language when they relate to each other. 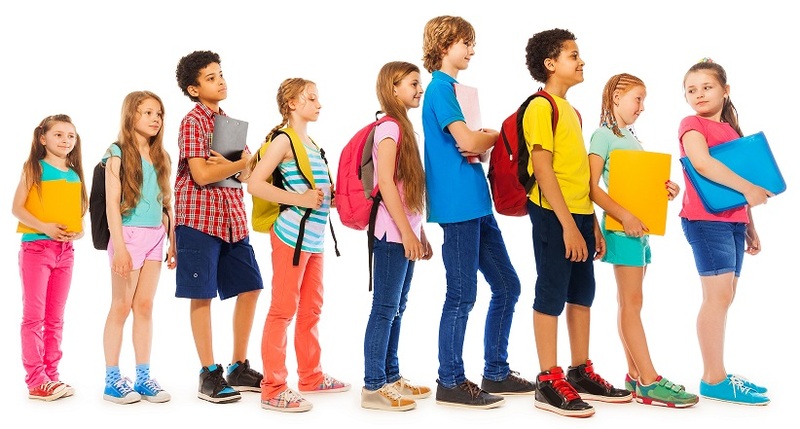 Embed social skills instruction throughout the day by giving your students pre-prompts of behavior that’s expected of them before each new activity. 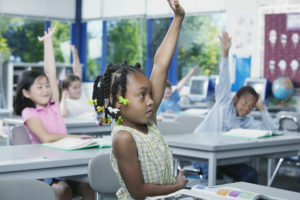 For example, if you have a student who has difficulty transitioning to new activities, gently take her aside during the transition and clearly explain the behavioral expectations: “You need to walk directly to your desk and sit down, take out your reading book, and begin reading where you left off yesterday.” This will help get her oriented before the transition happens and cut down on lost instruction time. Review expectations in a positive way. Behavior issues tend to increase during wait times. Identify children’s wait times during your day and reduce them by changing the routine or providing interesting activities while children wait. 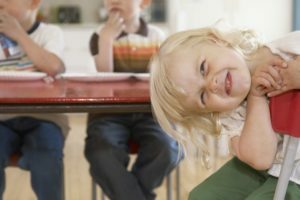 Many young kids have trouble with turn-taking, a critical social skill. Posting a waiting list in your classroom will help them conceptualize the idea of waiting for a turn, and it provides a reassuring visual that helps them track their progress. “I” messages are a great, non-accusatory way to explain to a child why a particular behavior is negative. Instead of saying You’re not behaving, try a message like: When you throw food on the floor, I have to stop what I’m doing and clean up the mess. It makes me feel frustrated.“I” messages more effectively communicate your point than negative messages, and they also subtly ask for the child’s help in solving the problem. Seating a student who exhibits challenging behaviors in the front of the classroom might seem logical–it’s the best way to keep an eye on her, right? But some students who are seated in the front of the room might use that opportunity to impress an “audience” of classmates by further challenging you. Watch out for this, and experiment with your students’ seating to see if it affects their behavior. Some students will act out less frequently if they’re placed a few rows back or to the side, where they feel less stimulated. Say you notice three students working especially well together on an activity–exhibiting respect for each other and working through disagreements peacefully. You might try inviting this group to briefly describe to the rest of the class how they worked together as a group. Frame this as part of your lesson–when you foster an atmosphere where students learn about relationships as well as academics, it will increase their sensitivity to how they treat each other. Set limits and move on. Students who try too hard to control people or situations will sometimes do this because they feel out of control inside. To counter this, let your student exercise control in age-appropriate, prosocial ways. During class, for example, you can offer activity choices that are all equally acceptable or reward choices when the student meets classroom expectations. Positive changes might be small at first–but noticing these incremental improvements and providing plenty of praise is important. 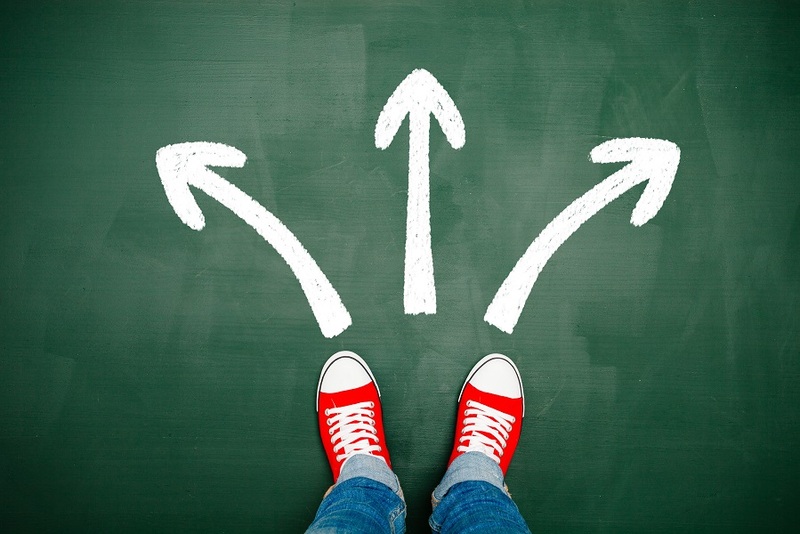 Calling out small positive steps and helping the student build on them is the best way to promote substantial and lasting changes in behavior. Disruptive behaviors can be extremely frustrating for you–they can cut into classtime and make reaching and teaching all learners even more challenging. But often, these behaviors are an expression of problems or innate tendencies that reach far beyond your classroom. Remember that and try not to interpret your student’s behavior as a reflection on you. Pinpoint areas of difficulty with a rating tool. Do you have students who show persistent behaviors of concern? Your school might want to use a behavior rating tool like the School Social Behavior Scales, which is completed by teachers and other school personnel and gives you a snapshot of both social competence and anti-social behavior. Your school can also have family members complete the Home & Community Social Behavior Scales to get the big picture of a student’s behavior and the factors shaping it. You can use results from rating tools like these to develop functional behavioral assessments and targeted interventions. For more in-depth teaching of key social skills, you might try seeking out a social-emotional program you can work into your existing curriculum. 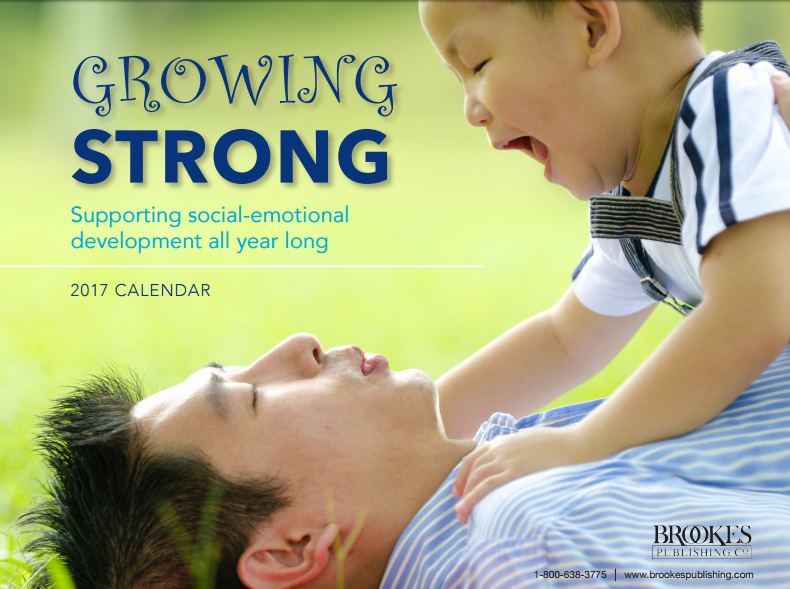 Merrell’s Strong Kids is one of the best–it’s a set of age-appropriate curricula that help students develop the social-emotional skills they need to manage their challenges and succeed in school and life. The new editions are out now, and they’re amazing tools for teachers and students. *Also: Big congrats to Michelle Del Rosario, winner of our Inclusive Schools Week book giveaway! Michelle, we’ll be in touch for your address so we can mail you your books. Happy reading! Strategies 1-3 adapted from Prevent-Teach-Reinforce for Young Children: The Early Childhood Model of Individualized Positive Behavior Support, by Glen Dunlap, Ph.D., Kelly Wilson, B.S., Phillip S. Strain, Ph.D., & Janice K. Lee, M.Ed. Strategies 4-6 adapted from Supporting Students with Emotional and Behavioral Problems: Prevention and Intervention Strategies, by Lee Kern, Ph.D., Michael P. George, Ed.D., and Mark D. Weist, Ph.D.
Strategies 7-10 adapted from Addressing Challenging Behaviors in Early Childhood Settings: A Teacher's Guide, by Dawn M. Denno, M.Ed., Victoria Carr, Ed.D., & Susan Hart Bell, Ph.D.
Strategies 11-17 adapted from Recognize and Respond to Emotional and Behavioral Issues in the Classroom: A Teacher's Guide, by Andrew Jonathan Cole, Psy.D., & Aaron M. Shupp, Psy.D. Thanks, Jen! Did you want to be included in the calendar giveaway? I would love a calendar. Great infi. Thank you. Great article! I’m a para in an emotionally behavior classroom and we use these stategies daily! I would love to be entered in your calendar giveaway. Thanks some things to think about for my son. I would definitely make use of this!